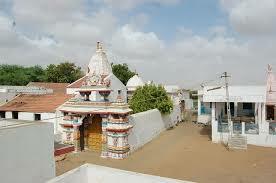 Here is Some Information about Ravechi Mata Temple Rapar Kutch Gujarat India. 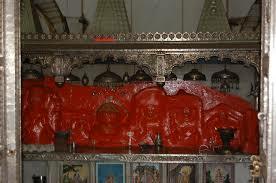 Ravechi Mata(Goddesh) Temple is located at Near Nana Reva Village Rapar Taluka of Kacch Gujarat.The temple was built in 1821 Pandava time by Pandva.The temple is built at the shore of the Rav Village on the Western corner of Indian subcontinent. This pilgrimage is one of the oldest and find its reference in the ancient texts like Other Inkarmation Of Godesst Maa Ashapura Desh Devi Of Kutch. A temple of Goddess Ravechi Mata, a confined goddess, is on the bank of a large and beautiful pond in Rav. This temple was built in 1821. It is almost 54 feets high. 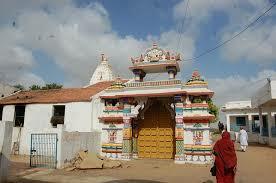 It is said that this temple was built by the Pandavas and was destroyed by the troops of one of the Babies chiefs. he image of the goddess of the temple is said to be self incarnating - that is, it came out of its own. I was also told by an elder man to see and worship the ever burning lamp. He told me that lamp known as Akhand Jyot is a 'diya' which always keeps on burning.Besides the main temple, there is a holy place of Bhairav. Goddess Ravechi is extremely loved by the people of Vagad. A memorial stone with a message dated 1271 is at the corner of the square wall. 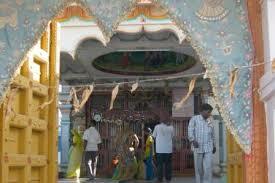 A colorful fair is held in Ravechi Temple every year on Bhadarva Sud 8 (September). Ravechi Fair is coming on According to Gujarati hindu Calander Bhadrapad Sud 8 and english month of Saptember near Ravechi Mata Temple in Nana Reva Rapar Kaccha Gujarat.More then 30 thousand people participate in Ravechi Fair.In this Fair mainly Ahir, Rabari & Charan communities people come. The atmosphere is really wonderful during the fair with hundreds of devotees coming to visit this place. During this festival there are special buses organized by the tourism department for the comfort of the visitors who wish to attend the fair. 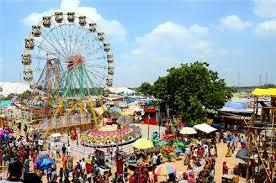 The main attraction of the fair is Revelers at the fair, which make sure to visit the Ravechi Mata temple. 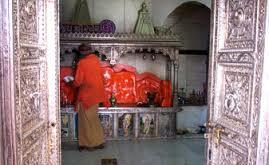 Ravechi mata is none other than the local Goddess Ashapurji of Kutch- who is the form of Hindu Goddess- Parvati. Her other forms have also been installed in the temple Overnight in Ravechi.On the days of the fair, the Ravechi Mata temple and its presiding are beautifully decorated, thus creating a joyous and festive ambience.The fair's attraction lies in the multi-colored stalls, which are the best places to buy and spot the local handicrafts. The home made clothes, hand made fabrics, mirror works, embroidery and lace works are fine specimens of local handi works of the womenfolk of Gujarat. By Road : There are many public and private vehecals available to reach Ravechi Temple Nana Reva Rapar Kacch.There are special buses organized by the tourism department for the comfort of the visitors who wish to attend the fair.State transport buses and private luxury coaches connect various centres of Gujarat. By Rail : Kachchh is the station nearer that is connected well with all the major stations.Bhachau is connected by Rail, Road and Air with all the major destinations Bhuj & Kandla is connected with Bhuj to Rail and Road facilities. By Air : The Nearest airport is Bhuj Airport.At present Jet Airwais operates passenger flight from Bombay to Bhuj every day accept Thursday.